Always mysteries on the ranch, we look for clues, search for signs of the inexplicable. Utilizing the Kubotas to get around the past five months, my pickup has been parked most of the time. 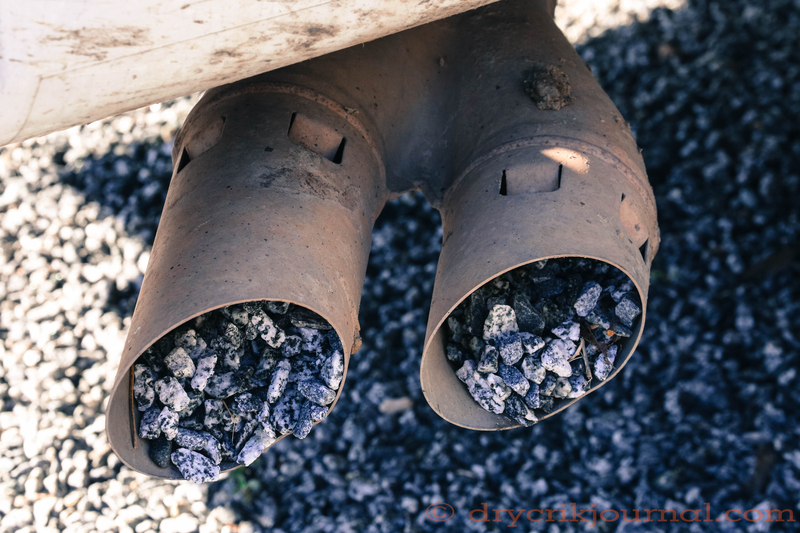 A month or so ago, we noticed its exhaust pipes were full of gravel from the driveway. Removing the gravel with a long spoon, we found a loose nest where the two pipes join. We also a noticed a pack rat nest in the frame at the same time, started, we assume, while I spent several hours trying to drain the runoff from our corrals in early March, a nest that included a surveyor’s lath, marking the location of a nearby power pole, as it’s foundation. Because we found them both at the same time, we assumed the same culprit. 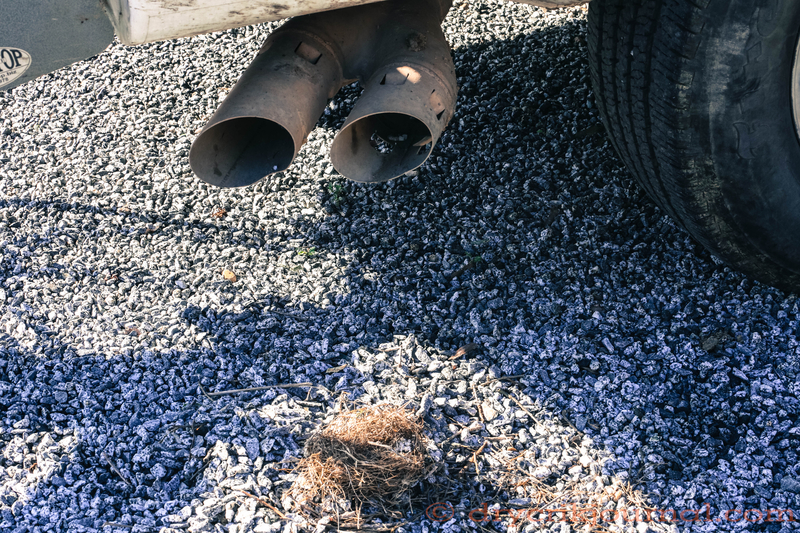 Though we removed the pack rat nest, gravel continued to build up in the exhaust pipes, and another nest removed that contained an egg and eggshell remains. Beginning cattle work, I often leave the gooseneck hooked-up to my pickup and park it elsewhere for several days in a row. We then noticed that exhaust pipe of Robbin’s car was acquiring several gravel stones of its own. After Googling ‘nest in exhaust pipe’, the best suspect was a Eurasian Bushtit, a pretty tiny bird, but not native to this continent. I assumed the gravel was placed by its plainer relative, the Bushtit, of which we have many, but none observed around my pickup. 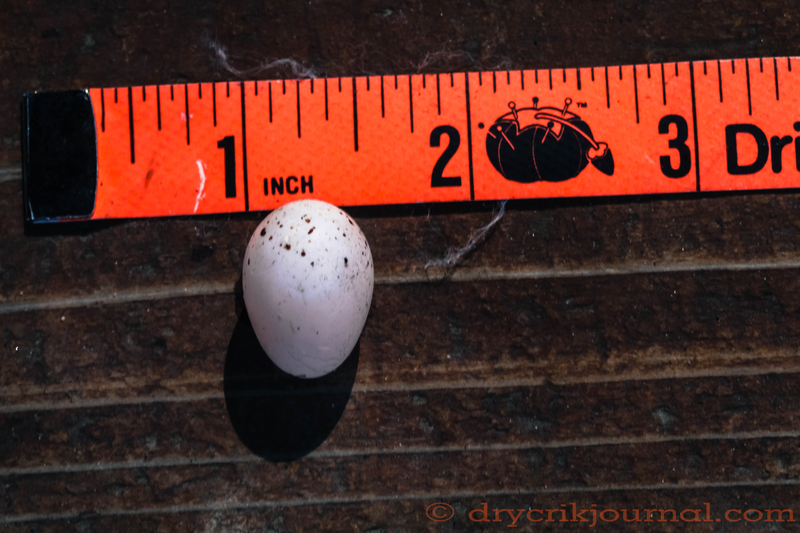 But considering the size of the egg and that of the Bushtit, not much bigger than a thumb, I was beginning to have doubts as the gravel continued to accumulate in the tailpipes. 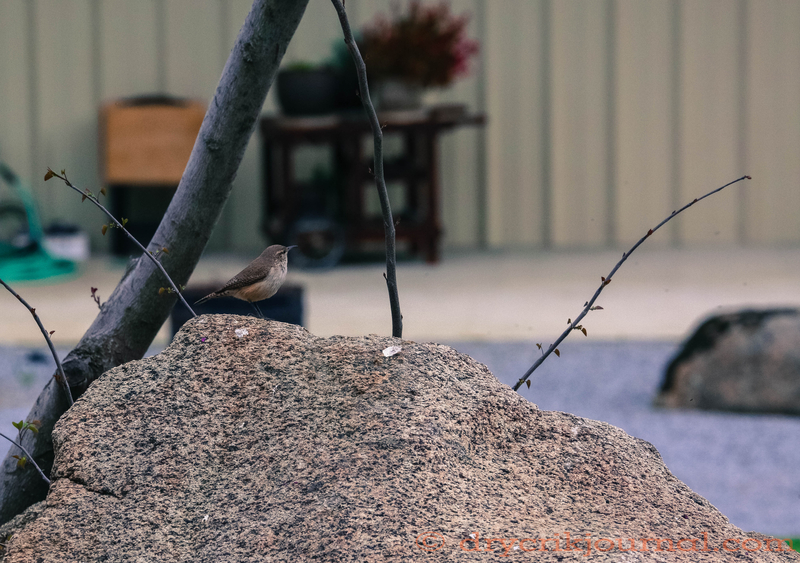 We enjoy watching the fairly tame Rock Wrens bob around the yard, collecting bugs, extricating spiders from under tables and chairs, cleaning window screens. Yesterday, one hopped out from under my pickup. Once again, I went online to find some interesting facts. This entry was posted in Photographs, Ranch Journal and tagged photography, rock wren nest, wildlife. Bookmark the permalink. Nope, the pair is fixed upon my pickup as I type this. Nice detective work and story! Guess you will need to get around on that Kubota until nesting season is complete. We used rain and roads too wet as our excuse for not branding our calves, I guess we can use the rock wrens for not getting them weaned.